The Samuel Coleridge-Taylor Foundation is a Community Interest Company, set up in September 2010, which aims to promote the work of Samuel Coleridge Taylor and to encourage interest and involvement in classical music using his life and work as an example of excellence in achievement and in overcoming adversity. The SC-T Foundation has three Board Directors, Hilary Burrage, Nick Prior and Chumki Banerjee (L-R above), but the actual number of people who have made contributions to our work is many more than this. It is the teamwork to which we all in different ways contribute, and for which the SCTF is most grateful, which constitutes the basis of everything we do. This SCTF website is likewise designed to be a collaborative effort, and we hope people will share on it information, news, questions and ideas about every aspect of Coleridge-Taylor’s contribution to our musical and civic / community lives. We have also listed here every known work Coleridge-Taylor wrote: our intention is that as people share events, information and insights this listing becomes an indispensable resource for musicians, historians, media researchers, students and everyone else with an interest in Samuel Coleridge-Taylor and his unique legacy, musically and personally. We look forward very much to hearing your news and working with you! The people involved in setting up and coordinating the work of the Foundation include the following. Please feel free to contact us individually if you wish using the email links provided below. Daniel Labonne is a writer, playwright, researcher and poet. He has worked internationally, especially in Africa. Born in Mauritius and a UK resident, he holds a postgraduate degree from University of London and studied Arts Management at City University. A former adviser to the minister of Culture of Mauritius, the director of the African Theatre Exchange (ATEX) and artistic director of the Samuel Coleridge-Taylor Society in Croydon, he is the founder of FACE (Foundation for Arts, Creativity and Exchange). Daniel Labonne is mainly known as the project manager of the African Centre for the Training of Performing Artists, a unique cultural development project tailor-made for Sub-Saharan Africa. He now publishes regularly in English and French. Empowering the Performer is the title of his new book. 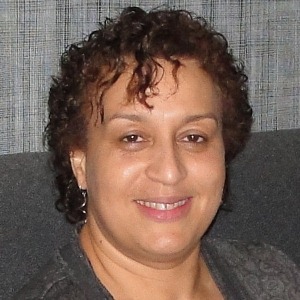 Dr. Dominique-René de Lerma is a prominent, pioneering scholar in black music research. After a career as a performing oboist, he received a PhD in musicology from Indiana University in 1958. Subsequently he taught at Indiana University (1963–1976), at Morgan State University (1976–1990), and at Peabody Conservatory (1983–1990). He served as Director of the Center for Black Music Research at Columbia College Chicago from 1990 to 1993. Currently, he teaches at Lawrence University in Appleton, Wisconsin. De Lerma is the author of several books, including the four-volume Bibliography of Black Music (Westport, CT: Greenwood Press, 1981). Hilary has had a particular interest in the Coleridge-Taylor legacy for some twenty years. This began with work in the early 1990s when she and members of (her husband Martin Anthony Burrage’s) fully professional classical music ensemble, of which Hilary is manager, undertook to locate and bring to performance some of Coleridge-Taylor’s early chamber compositions. Since that time, as Hon Chair of HOPES: The Hope Street Association, Hilary has promoted and produced many annual community (‘HOTFOOT’) concerts in Liverpool which have included music by SCT. In 2000 HOPES, and Hilary as Founding Chair, were selected to present the work which HOPES undertook during the Millennium Festival, addressing the Millennium Commissioners and many others at a national media event to celebrate the involvement across the UK of community festivals during that year. Hilary’s expertise has been as a community and long-time equal opportunities / diversity activist – she managed plans for the BBC 1998 Windrush celebrations in Liverpool – and before that as a teacher and college senior manager. She has been a board director of a range of not-for-profit organisations (including the Royal Liverpool Philharmonic Society, the Liverpool School of Tropical Medicine and an NHS Trust); a Ministerial appointee for the Defra Science Advisory Committee and Vice-Chair of the NW Sustainable Development regional group; a professional consultant in service provision, academic author and researcher; and more recently a noted writer on social / public policy and community issues. Her full CV is available on LinkedIn. Chumki Banerjee – Board Director with responsibility for financial management. Chumki, a qualified chartered accountant, worked for several years in public practice where she specialised in arts and charitable organisations, moving into the commercial world for five years, to act as finance, human resources and information technology director for various arts and charitable organisations, including the Royal Liverpool Philharmonic Society, before setting up and managing her own food and arts venue over a further seven years. More recently she has assisted the Executive Chair, Hilary Burrage, with financial matters related to HOPES: The Hope Street Association. As well as day to day and project financial management, Chumki has extensive experience with funding for the arts and charitable organisations. Nick Prior – Board Director with responsibility for information technology. Nick has been involved in IT for over 25 years with consulting and project management experience of large scale international commercial and logistics systems. More recently through his consultancy Nick Prior Designs he is involved in a variety of internet related projects. These include website design with social media integration and digital imaging. Nick works closely with all the technical partners to the Foundation ensuring appropriately scaled and robust systems are in place to support all activities both current and foreseen. He also acts as Executive Editor for all website content. Dr Catherine Carr studied music at Bath (B.A Hons), Sheffield (M Phil) and Durham (PhD) universities. Classically trained from an early age on several instruments (violin, guitar, clarinet and piano) Catherine is also a specialist in steel pan playing and teaching, and performs as both guitarist and pan player with Rafiki Jazz and her own group, Classic Steel. Having absorbed a multitude of influences, she has a long music career, with a musical output and presence on the local and national world music scene spanning over 25 years. This has involved music in a diverse range of genres as an experienced teacher, director, arranger and performer. Her interest in the life and music of Samuel Coleridge-Taylor was initially sparked in the mid-1990’s whilst studying Bob Marley’s music and the history and development of Jamaican reggae. This interest led to extensive further research and analysis of Samuel Coleridge-Taylor’s music for a PhD, during which Catherine uncovered the manuscripts of his, until then ‘missing’, opera Thelma. ‘From Student to Composer: the Chamber Works [of Coleridge-Taylor]’, Black Music Research Journal, vol 29/2 (Fall 2001), 179 – 195. ‘Samuel Coleridge-Taylor’, Die Musik in Geschichte und Gegenwart (MGG), (Bährenreiter, 2000), 1362 – 5. Catherine is motivated by the belief that no matter what form, origin or style, music always has a story to tell. Richard Gordon-Smith is a Composer, Music Educator and Violinist. Previously a member of the Royal Liverpool Philharmonic Orchestra, he now commits himself full-time to educational and community activities in schools and elsewhere, and to serious composition. Richard has a substantial list of works to his credit, and has been recorded and played in many parts of the world. Martin Anthony Burrage – known always to his friends as Tony – is a professional violinist. He studied violin and piano at the Royal Academy of Music, of which he is a Graduate (GRSM) and has also in recognition of his work in the community been appointed an Associate (ARAM). He joined the Royal Liverpool Philharmonic Orchestra on Decimal Day in 1971 and is now the RLPO’s longest serving member. Tony has maintained an active interest in English music and especially late Romantic chamber music throughout his career. In the late 1990s he discovered and realised the Samuel Coleridge-Taylor Piano Quintet, which with the Fantasiestucke was performed for the first time in a century by Tony’s group, Ensemble Liverpool (previously Live-A-Music) in Liverpool Philharmonic Hall in 2001. Tony works closely on outreach projects with his colleague Richard Gordon-Smith. Together they led the HOTFOOT concerts in Liverpool for some years, and they continue to liaise regularly on other educational programmes. Tony has been married to Hilary Burrage, the Executive Chair of SCTF, for even longer than he has been a member of the RLPO!